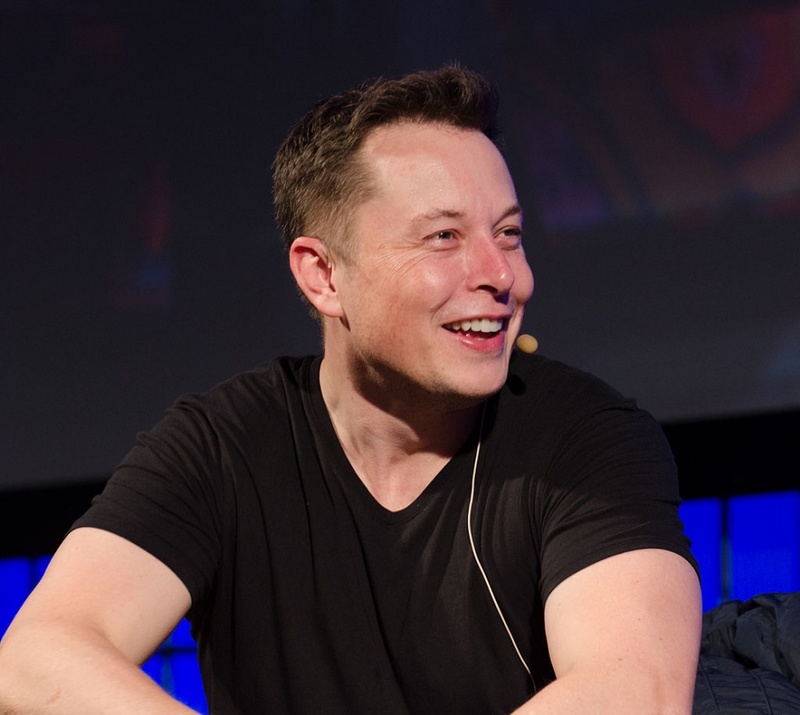 Entrepreneur Elon Musk has proposed the insertion and inflation of a nylon tube into the cave network where 12 Thai schoolboys and their football coach are stranded. The schoolboys from the Moo Pa Academy football team and their 25-year old coach went missing in the tunnel network located in Chiang Rai province on June 23, 2018. They were found by two UK rescue divers and have since received food and medical treatment from a team of divers, including those from the Royal Thai Navy’s Underwater Demolition Assault Unit. Since they were found questions have been raised about the best way to rescue the group, with ideas ranging from a guided swim with scuba gear to drilling through the approximately 800m of rock above the boys to create an escape shaft. Efforts are ongoing to pump water out of the cave network but the very real threat of flooding exists with heavy monsoon rains forecast. Because of this, it has been proposed that the trapped group remains underground for four months until the monsoon is finished. Elon does have a laser that could drill the 800 meters. Why not ask him? Say Ole suggested it. He knows me! According to the news they showed a diagram of roughly what the cave system looks like. It looks like they don’t have to go very far under water in certain sections, but they need enough air to breathe in the sections between the submerged parts as well as the submerged parts. This is where they need enough air for the whole of the cave length. It would be difficult to put any kind of nylon tunnel for the whole length, also does something like this exist to actually try the idea. I think they need a relay system where divers have placed air cylinders in each dry section & then swim with the boys one at a time with the divers passing back & forth between them. This to me is the only possible way of getting them out now! Here is another concept: take a thick walled clear plastic Piping capable of the largest boy/person to, comfortably lie in and have an O2 supply fitted, with one end sealed and the other with a close-able hatch. 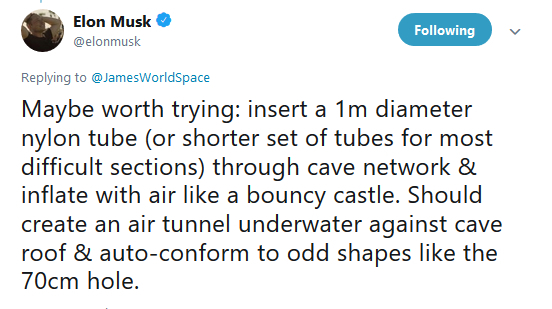 Then as, they have run tether lines, into the length of the cave use two divers [front and back of the sealed tube – would have a removable hatch at one end] and pull them through to the entrance, with the divers as guides. They would need to bring 6 to 10 tubes through at first then reverse back after these are through. Only need to be water tight and some weights to overcome the inherent buoyancy and allow the occupant to breath through a scuba mouth piece and goggles in case of a leak. Give it a try and keep for future needed rescues!